Last month, Imbibe ran a piece on Irish Whiskey that caught my attention, namely because I hadn’t tasted or mixed with very many Irish whiskeys. If you’ve paged through a large number of cocktail books, you’ll understand why — it’s just not used in cocktails very often. According to Imbibe the scene is changing, however, and more and more bartenders are experimenting with what was once the most popular spirit in the country. As a result of the aforementioned article and a visit to the faux-Irish bar at the New York, New York Hotel in Las Vegas, the Hutch in the basement now has three Irish whiskeys added to its stockpile: Tullamore Dew (decent and mild), Bushmill’s Black Bush (a wonderful blend, a bit maltier, with a hint of sherry), and Redbreast 12-year (a great all-around single-malt). 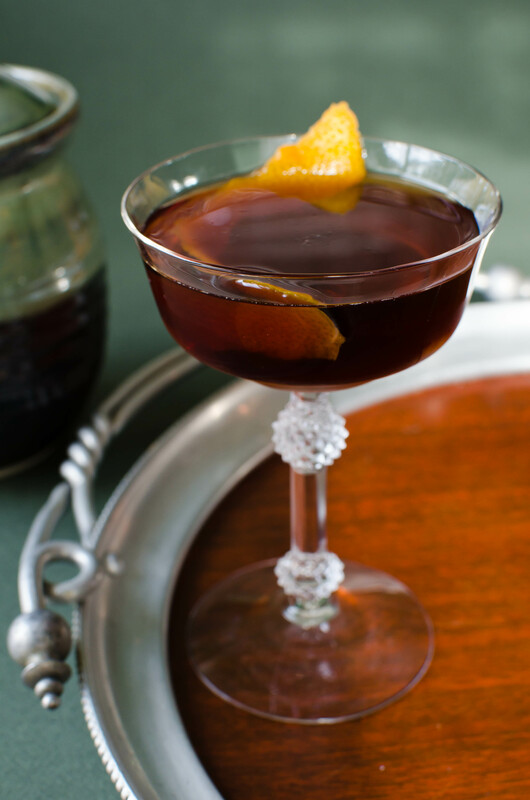 The one that’s been used most frequently as of late is the Black Bush, which is specifically called for in the following drink, the Wilde Heart. If you’re a Manhattan drinker, give the Wilde Heart (or the Redbreast whiskey) a try and I think you’ll have a new drink for the Fall. 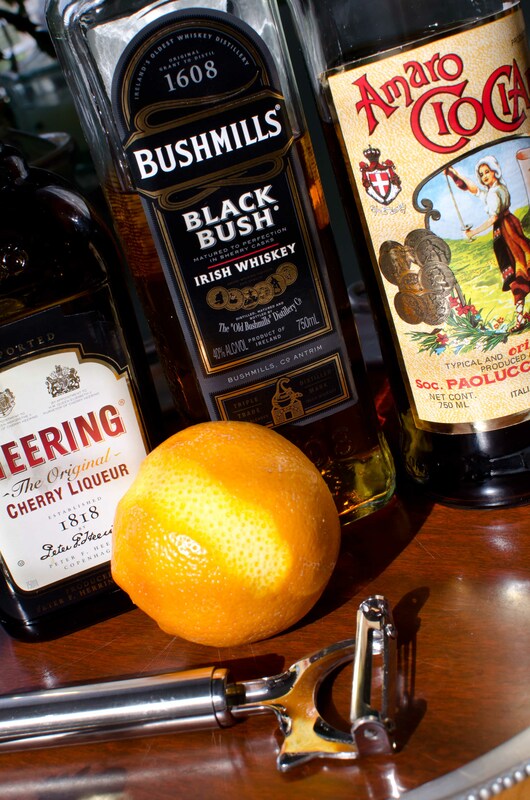 For a few more classic Irish whiskey drinks, head over to 12 Bottle Bar’s drink menu and sift through their selection. Combine all ingredients except soda water and bitters in an ice-filled Collins glass. Top with soda, then dash the bitters on top. Garnish with either a thick lime spiral (a la the 1920s) or omit the Bénédictine and bitters and float sloe gin on top (a la the 1930s). For a newer version, check out Robert Hess’s show, but I like the original version best; Beachbum Berry’s Singapore Sling (? – 1950s), from Beachbum Berry Remixed, is also very good (up the gin to two ounces, reduce the Bénédictine to 1/2 ounce, add 1/2 ounce of brandy and omit the bitters, though they wouldn’t do any harm). 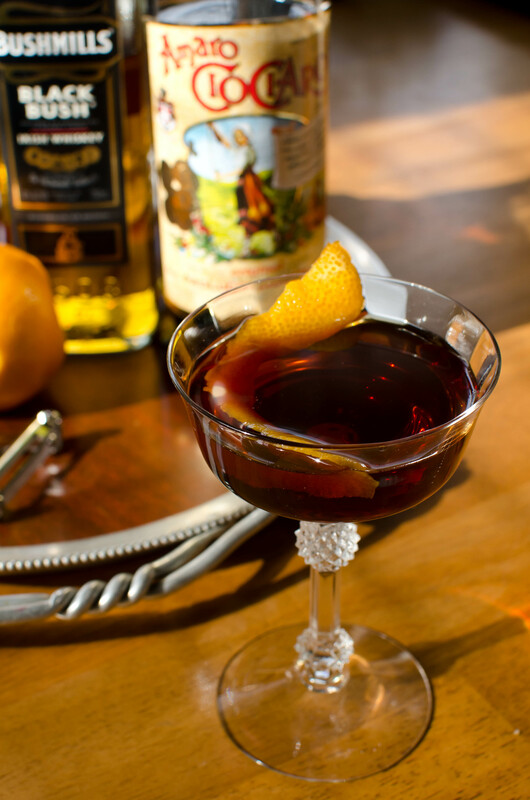 This entry was posted on November 12, 2011 by IJ Lauer in Amari, Angostura, Benedictine, Cherry Heering, Drink Recipe, Gin, Irish Whiskey, Lime Juice and tagged amaro ciociaro, black bush, cherry heering, cocktail, irish whiskey, original singapore sling, recipe, wilde heart.